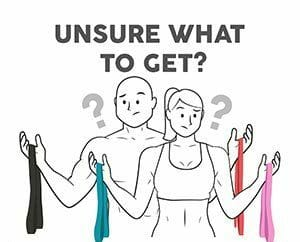 This blog will be a helpful guide for how someone can use resistance bands for their basketball training. Explosiveness – Add that extra power you need when you need it for important basketball movements such as jumping, running or dribbling. Strength – By using basketball resistance bands you will increase your upper and lower body strength. Flexibility – Before and after practice/training stretching with resistance bands will greatly increase your flexibility. By adding resistance to your basketball movements you will jump higher, build muscle strength, dribble down the court faster, get on defense quicker and to be a highly trained, all-around better player. While most people think of today’s basketball players as their role model for vertical jump training, perhaps we should focus on some of the older or lesser-known players. Spud Webb was a mere 5’7” and played for the Atlanta Hawks in 1986 and won the NBA Slam Dunk Contest. Wait what? While most of his competitors were a foot taller, he astonished the crowd with his 42-inch vertical leap and soaring dunks. In 2006, Nate Robinson of the NY Knicks was only 5’9” and won the contest. They accomplished these feats by their quickness and explosive power. Improving your vertical jump and jumping higher than your competitors are goals that all basketball players want to achieve. Most players are not born as extraordinary jumpers, but had to train and condition their muscles the right way to allow them to reach higher vertical levels. Whether you want to get more rebounds, layups, jump shots or finally be able to dunk, basketball resistance bands will help you achieve your goals. There are two types of jumps in basketball, leaps and the vertical jumps. Leaps are jumps where the player gets a running start and leaps, while vertical jumps are explosive upward thrusts. Both are highly effective in different circumstances, but we are focused on improving your vertical jump ability. To improve your vertical jump height you need to include resistance bands in your basketball conditioning to develop stronger legs, hips, and glutes. Wearing resistance bands on your legs during jump training and while practicing movements will take your vertical jumps to new heights. A good vertical can help players rebound the ball easier, block more shots and become a potent force on the basketball court. A vertical jump is a standing jump straight up into the air and is measured by the height from the floor. To reach the 10-foot basketball hoop ring, you need totransfer the stored energy in your muscles into explosive power, catapulting your body towards the hoop. The set of muscles used in vertical jumping are primarily the quadriceps, followed by the hips, hamstrings, and calves. Strong vertical jumpers may have a better genetic foundation with faster twitch muscle fibers, however, anyone can become a great jumper when they increase their amount of fast twitch muscles. When building your fast twitch muscles, it is typically better to do quicker, repetitive strength exercises with lighter weight. Basketball resistance band training exercises pack your muscles with explosive strength and power and release that power as muscles contracts. Frequent conditioning increases the strength and speed of muscle contractions. Your new performance enhancement enables muscle fibers to store and transfer more elastic energy, which quickly and powerfully projects you towards the basketball rim. Jumping up and down without the right technique is not going to get you the vertical jump height you desire. A dominating vertical jump requires explosive power by hitting the ground and recovering quickly and forcefully. This basketball leg workout will strengthen your legs including the quadriceps, hamstrings, calves, glutes, and hips to make you a jump higher. Hold the basketball while standing upright. Jump off one leg while rotating the opposite hip in a circular motion which fires the hips and glutes. Keep your back and spine inline to avoid bending over as it will cause you to decelerate and apply more stress on your knee. This is important since repetitive stress to your knees can lead to injury. Perform maximum effort for 10 seconds on each leg. Perform two sets with resistance and then two sets without resistance. Focus on explosiveness while going up and down. Work on stability and balance while maintaining good form and controlling the ball throughout the drill. Being nimble on the court can allow you to gain a competitive edge and surpass your competitors. By incorporating heavy duty mini loop booty bands you will add resistance to each movement. By working through the added resistance, you will develop stronger legs and hips, which greatly helps improve speed, agility and the ability to quickly move your feet on the court. Use our booty resistance bands around your thighs to add the necessary resistance to work, strengthen, and tone your lower body. Improve Your Quickness and Court Speed – Having a quick first step, speed, and lateral quickness are crucial elements for success in basketball. These allow you to have fast breaks on offense, cutting off your opponents on defense, and beating your competitors to the ball and win the game. Improve Footwork – Being able to change direction quickly and react to basketball court movements are extremely important. To improve your footwork, you need body control, coordination, and balance. Performing basketball resistance training such as ladder drills are an excellent way to improve your footwork, balance, and stability. This training drill fires up the muscles in your calves, hamstrings, quads, hip flexors and glutes. It works on improving your quick feet, increases coordination and agility by moving laterally and working on passing skills. Stay low in the resistance to develop hip strength and improve stability and balance. Start standing with feet hip distance apart and lower into a deep knee bend. Put both of your hands in front of your chest with the ball. Move your right foot out with your left foot following. Shuffle for ten right-left steps and pass the ball to your partner, then move left for ten left-right steps and receive the ball from your partner. Continue shuffling right and left for four repetitions. To keep your proper form, keep your core engaged the whole time and your chest lifted. For this drill, the player dribbles the ball down the court as fast as possible, trying to get ahead of the defender while maintaining ball control. The defender starts approximately 5 feet behind and tries to catch up to the player with the ball. Performing this drill with basketball resistance bands provides an excellent workout for the legs, hips, and glutes for both players and improve quick feet, speed,and agility. While improving speed, foot quickness and vertical jump ability are top priorities for athletes of all levels, there are basketball resistance training drills that can be done to enhance your performance. Sometimes when you’re ready to keep training you can’t find anyone with your same level of dedication and discipline. The good news is that basketball resistance band training can be done all by yourself. Just tie two bands together and secure them to a column, pole, fence or other another sturdy item is a great way to increase your explosiveness developing a quicker first step or dribble moves without a partner. This training exercise is an incredible conditioner that will enable you to blow by defenders. A basketball leg workout can be done without a weight room or a bunch of equipment. Your range of movement increases as the resistance increases. This is not the case with weight lifting. With basketball resistance bands there is a deeper burn in your muscles than with weights. You can't cheat with momentum when using bands. Resistance bands are easy on your joints, unlike free weights. Basketball resistance bands are ideal for in-season strength training so you don't wear yourself down when you’re already tired. Basketball resistance band training can also be done in conjunction with weight lifting to enhance your results. There are countless ways to use the basketball resistance bands with traditional weights to blast through plateaus and become even more explosive. Basketball resistance bands are versatile and are great for stretching before and after practice. The bands help you get a safe, yet deeper stretch than without them. This training tool should be added to any basketball player’s equipment. 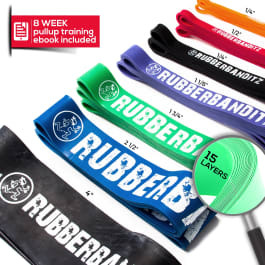 In even just ten minutes, you can get a great workout with basketball resistance bands. 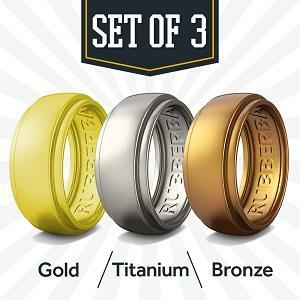 They are easy to throw in your gym bag and are much less expensive than free weights. Whether you use basketball training bands for explosiveness, strength or flexibility, you will absolutely improve your overall athletic performance.